Ubuntu Control Center(UCC) is an application inspired by Mandriva Control Center and aims to centralize and organize in a simple and intuitive form the main configuration tools for Ubuntu 10.04. 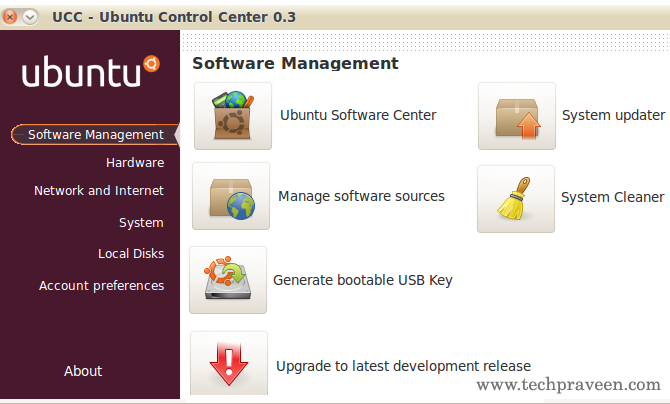 Ubuntu Control Center uses all the native applications already bundled with Ubuntu, but it also utilize some third-party apps like “Hardinfo”, “Boot-up Manager”, “GuFW” and “Font-Manager”. 1. First download these three packages. 2. Then install Font Manager .deb package by double clicking it. 3. 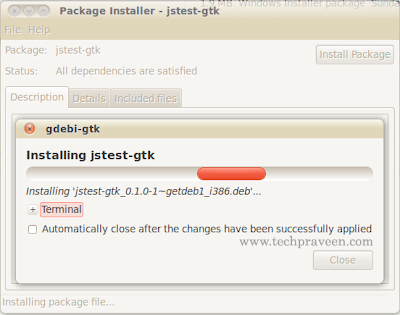 After that double click jstect-gtk .deb package the installation process will start. 4. Finally install Ucc .deb package. 5. Now we have successfully installed Ubuntu Control Center. 6. To use UCC goto Applications –> System Tools –> Ubuntu Control Center. Now take some administrative control over Ubuntu Linux. Ubuntu 10.04 Radiance & Ambiance Themes For Google Chrome.